The company was formerly known as DABERO Service Group GmbH and changed its name to valantic GmbH in November 2017. 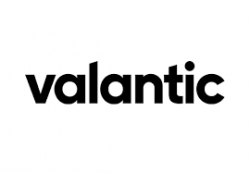 The company is based in Munich, Germany.valantic GmbH provides IT consulting solutions. The company offers SAP support; enterprise software solutions; compliance and fraud solutions for operator systems and processes; competent and transparent IT support; customer support, and SAP and IBM software solutions for various processes.